UK credit card providers are enabling more of their products and services to be accessed via mobile banking applications for the convenience of customers. According to the findings of the latest update of the Mapa Credit Card (UK) Dashboard, there has been a significant increase in the types of credit card servicing available to mobile banking customers recently. 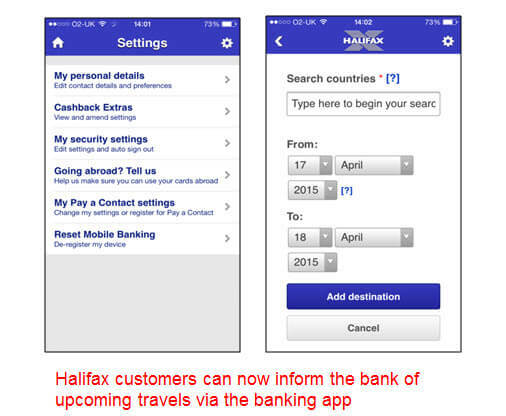 For example, we have seen Barclaycard enhance its mobile app, and announce to customers that will soon be able to transfer credit from non-Barclaycard cards, while Halifax added a feature to its mobile banking app allowing customers to inform them of upcoming travel plans. These types of features are giving customers more flexibility and control over how and when they manage their cards. 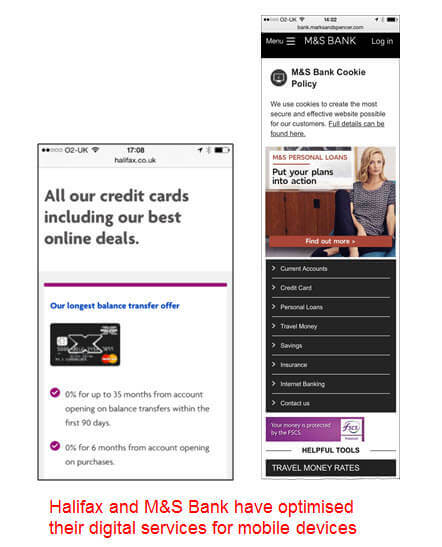 In addition to the wider range of mobile servicing available to customers, more and more UK credit card providers, such as Halifax and M&S Bank, are optimising their digital services for mobile devices creating a better customer experience. This makes it easier and more convenient for customers to carry out more complex servicing on the go. 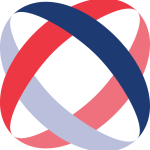 These trends are reflected in recent studies that have suggested that the number of UK mobile banking users is set to double from 17.8 million to 32.6 million by 2020. At the moment, just over a third of UK adults are estimated to be banking on their mobile phone, which could grow to 60% by 2020. With around 30 million credit card consumers in the United Kingdom, and with the UK Cards Association estimating that more than 70% of EU credit cards are held by British consumers, it’s no wonder that the financial services industry is taking the opportunities to investing in more accessible mobile services for card customers. With these trends, and the roll-out of contactless payments for low value transactions fuelling the move further away from cash, and the growing pool of UK credit card customers, it will be interesting to see how innovation and developments in mobile banking continue to change the way customers can use and service their credit cards on the go over the next year.